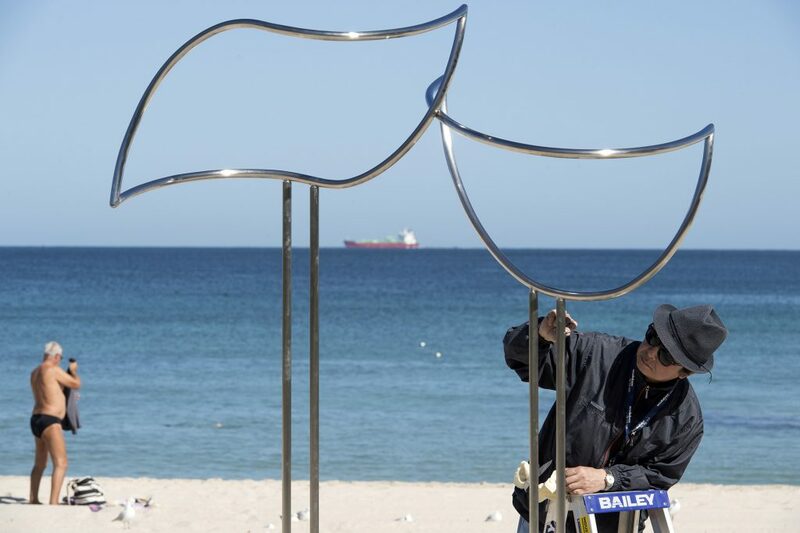 R.M (Ron) Gomboc, ‘The Elder’, Sculpture by the Sea, Cottesloe 2018. Photo Clyde Yee. 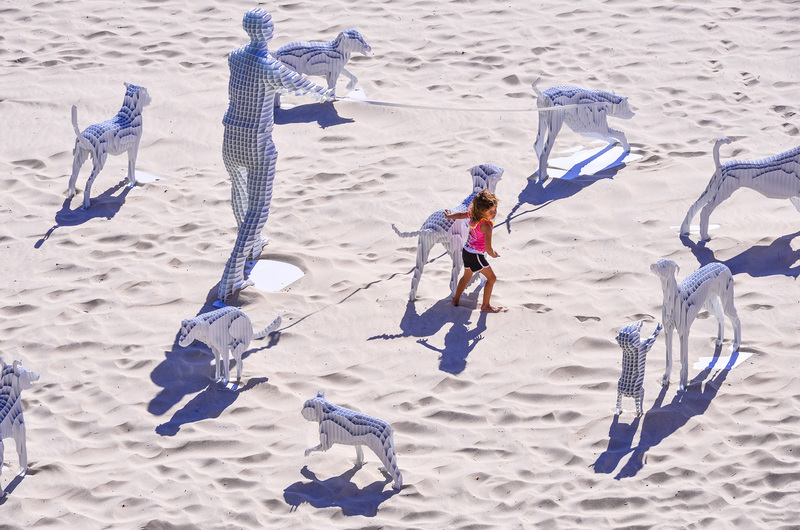 B. Jane Cowie, ‘Swirling Surround’, Sculpture by the Sea, Cottesloe 2018. 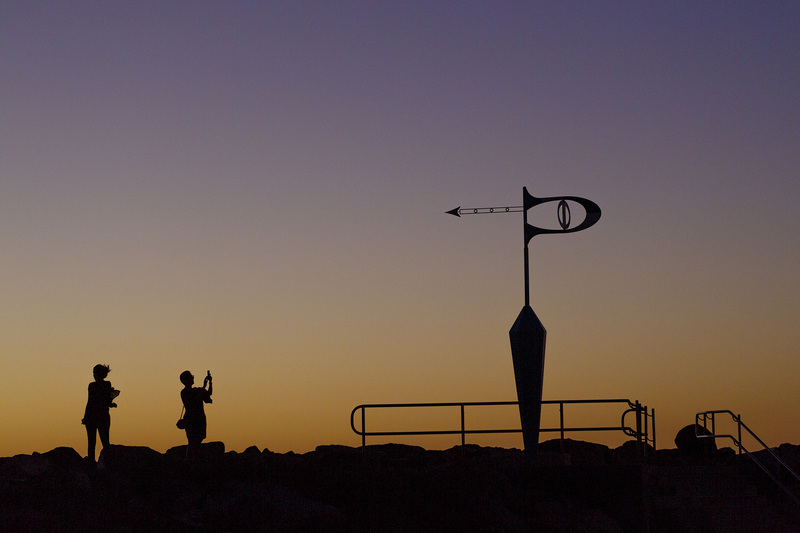 Photo David Dare Parker. 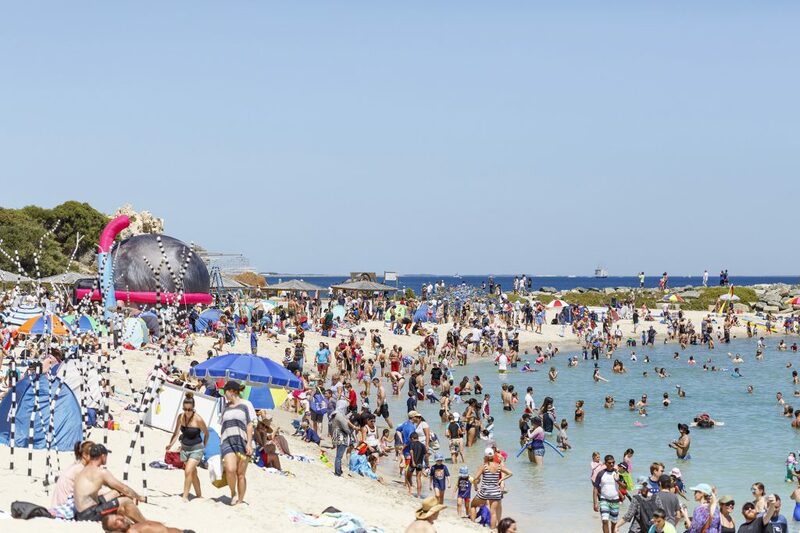 Keizo Ushio, ‘Oushi Zokei (2016)’, Sculpture by the Sea, Cottesloe 2018. Photo Clyde Yee. 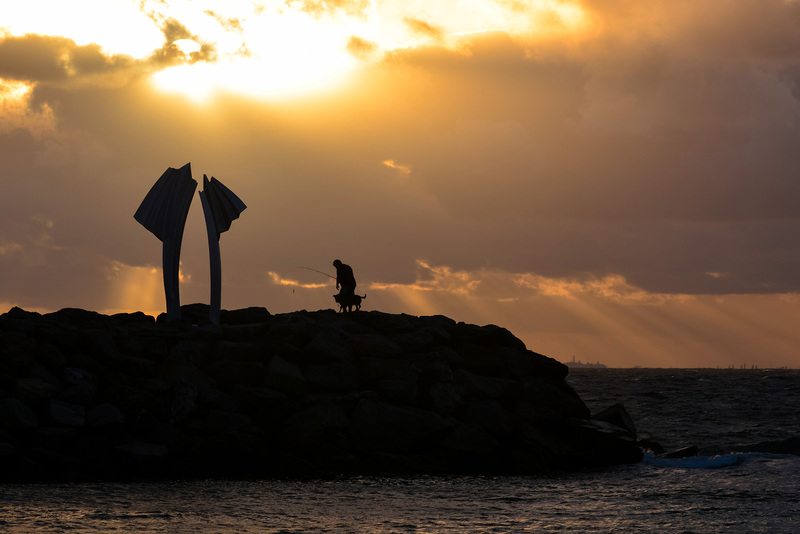 Sang Sug Kim, ‘The Place Where a Heart Could Stay’, Sculpture by the Sea, Cottesloe 2018. Photo Martine Perret. 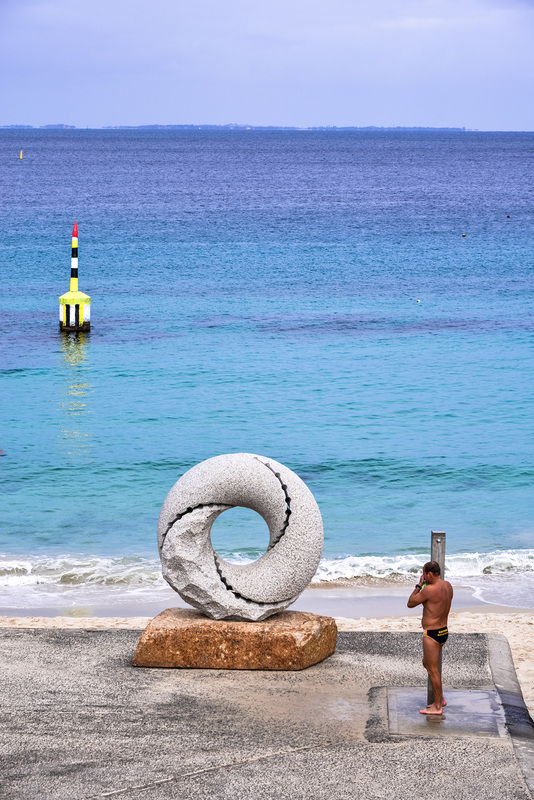 Tony Jones, ‘Float’, Sculpture by the Sea, Cottesloe 2018. Photo Jessica Wyld. 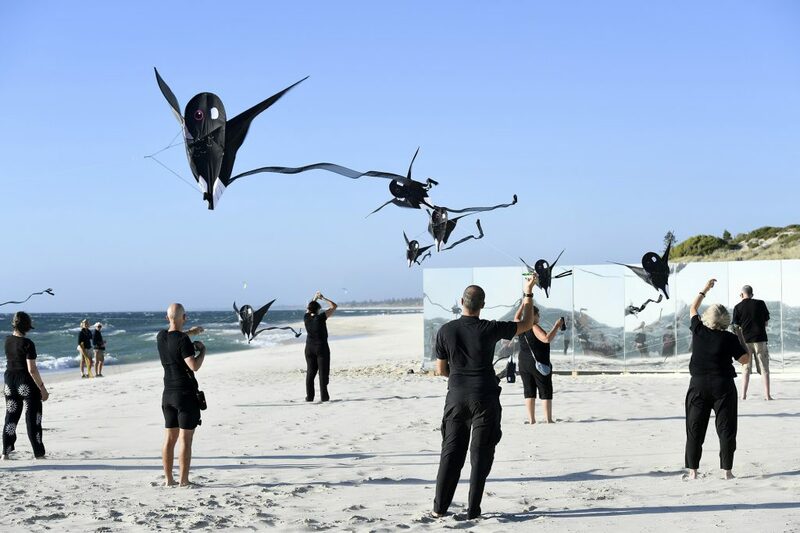 Chris Greenwood in collaboration with the Carnaby’s Cockatoo Action Group, ‘Carnaby’s Black Cockatoo Meeting Place’, Sculpture by the Sea, Cottesloe 2018. Photo David Dare Parker. 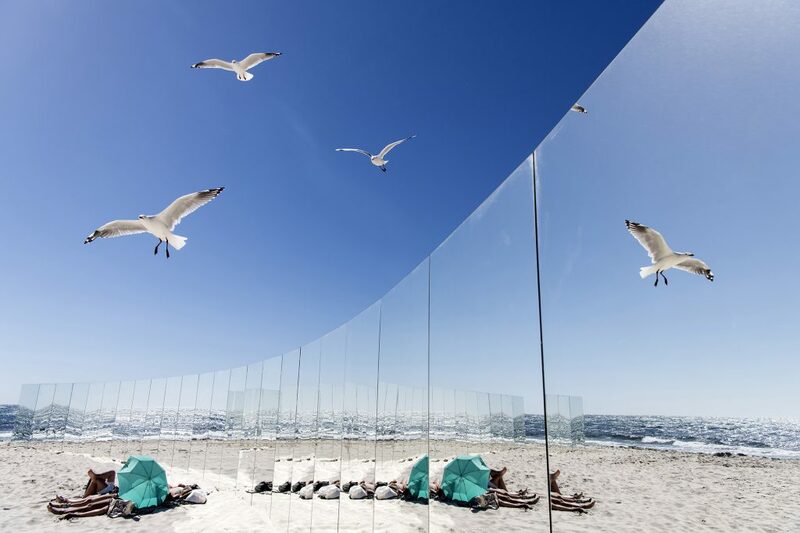 Gjøde & Partnere Arkitekter, ‘The Desert Island’, Sculpture by the Sea, Cottesloe 2018. Photo David Dare Parker. 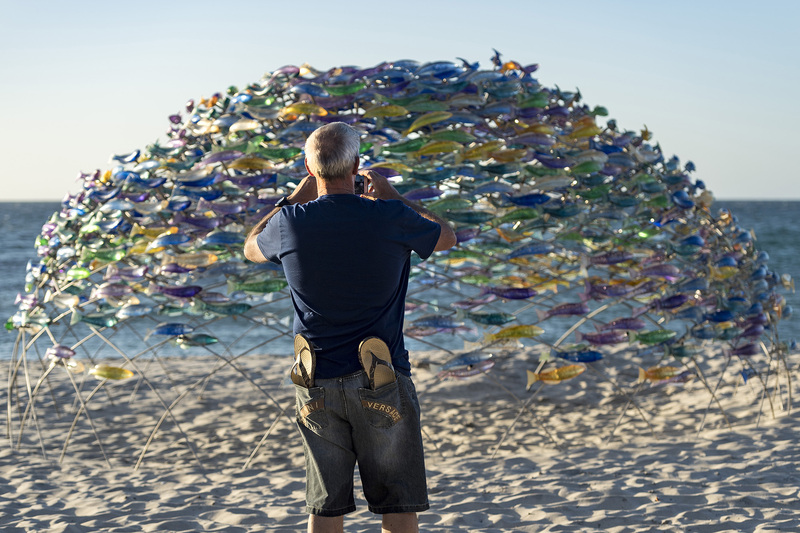 Duncan Stemler, the artist with his work, ‘In Rainbows’, Sculpture by the Sea, Cottesloe 2018. Photo David Dare Parker. Crowds, Sculpture by the Sea, Cottesloe 2018. Photo Jessica Wyld. 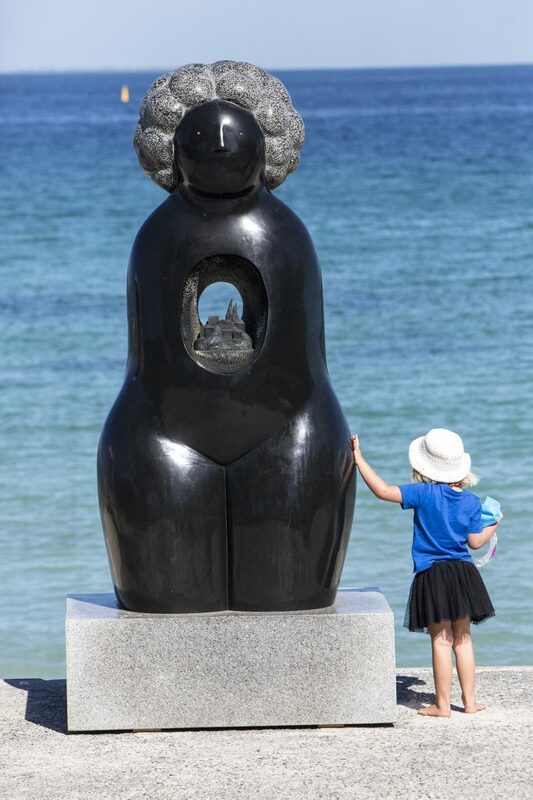 Rebecca Rose, ‘In Awe’, Sculpture by the Sea, Cottesloe 2018. Photo David Dare Parker. 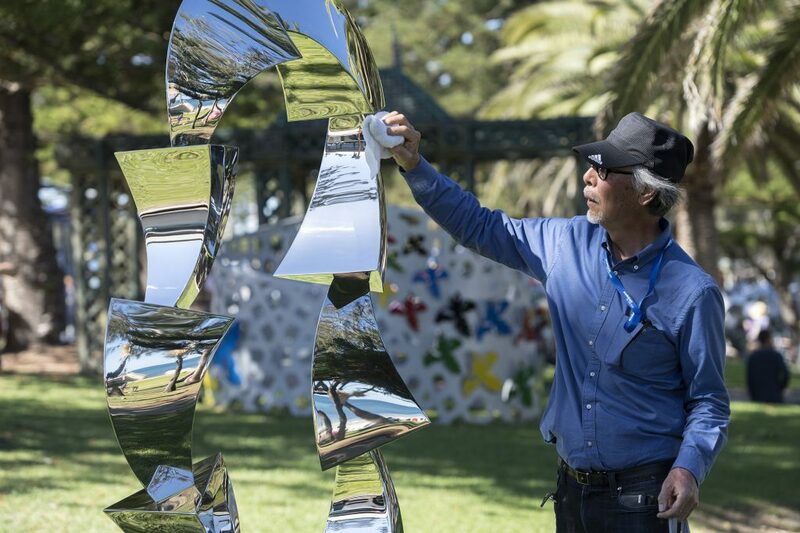 Tsutomu Matsunaga, the artist with his work, ‘A Rhythm of Landscape’, Sculpture By The Sea, Cottesloe 2018. Photo David Dare Parker. 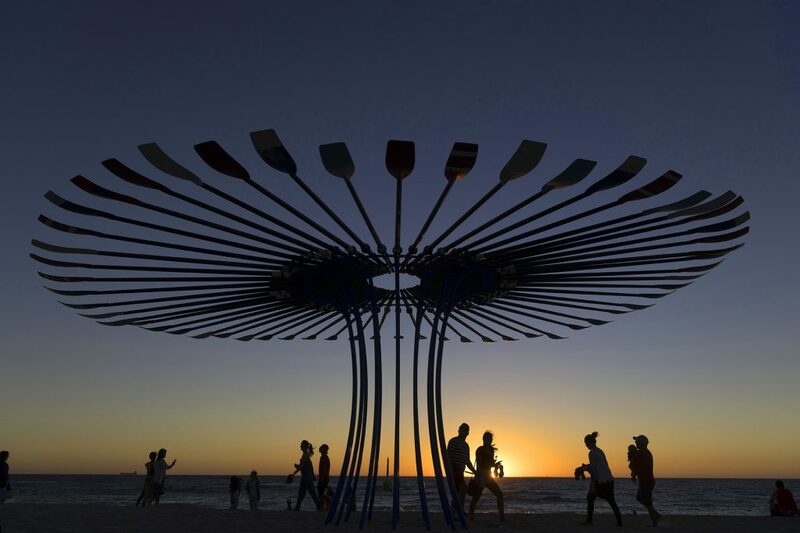 April Pine, ‘Spirit’, Sculpture by the Sea, Cottesloe 2018. Photo Clyde Yee. 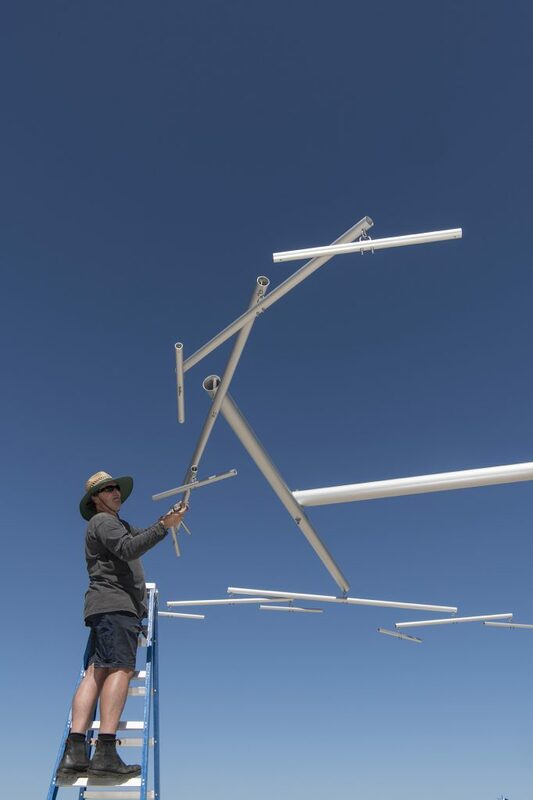 Masayuki Sugiyama, the artist with his work, ‘We are Between the Sun and the Earth’, Sculpture by the Sea, Cottesloe 2018. Photo David Dare Parker.